The key project on the blue bioeconomy has recognised the important role of water for the wellbeing of societies. 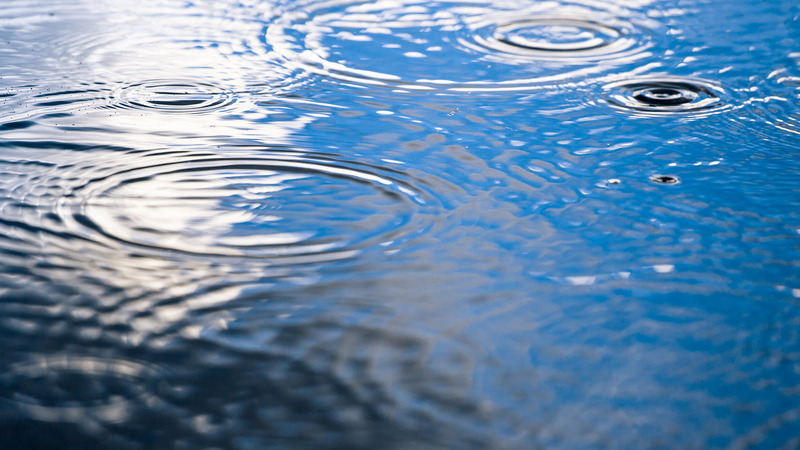 There is a growing demand for solutions that save on water and energy in the bioeconomy, different sectors of the manufacturing industry, and municipal water services. This gave the inspiration to the key project on the blue bioeconomy, where funding has been provided to bold experimentation and development projects. The global need for clean water and its significance for the world keep growing. There are growing needs and potential conflicts associated with water and water bodies, further accentuated by climate change. 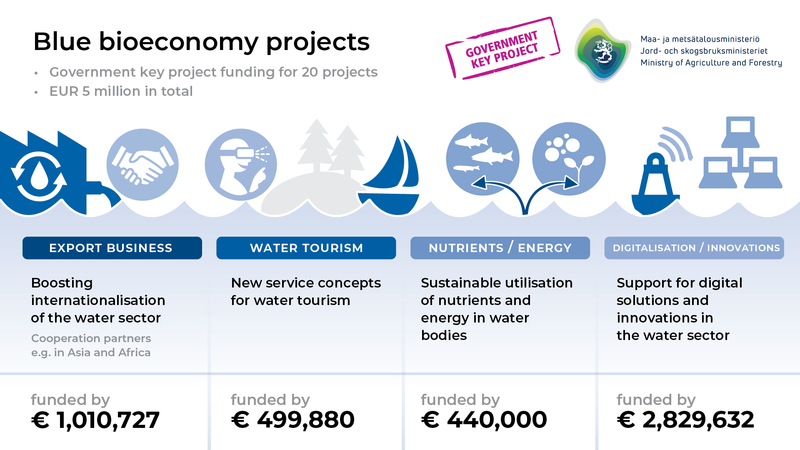 In the key projects on the blue bioeconomy new solutions have be sought relating to the utilisation of nutrients and energy, new service concepts for water tourism, internationalisation of the water sector, and digitalisation. One of the largest investments was in a project concerned with creating a new water treatment concept for recirculating aquaculture systems. The methods to be used in the Laukaa recirculating plant to be completed in summer 2019 include constructed wetlands for purification, removal of nitrogen based on wood chips, and formation of artificial groundwater in the treatment of discharge water and recirculation of water. The pilot plant will serve as a testing environment for new technologies for both private companies and public research. Recirculating aquaculture systems have enormous global potential especially in regions where the water resources are scarce. “Water expertise and aquatic natural resources offer lots of sustainable growth opportunities for Finland, both on the domestic and foreign markets. This requires target-oriented cooperation between the private and public sector so that we can offer competitive solutions to global challenges, including the purification and reuse of water or sustainable food production”, says Timo Halonen, Ministerial Adviser at the Ministry of Agriculture and Forestry. In Mikkeli region a new testing environment has been launched for wastewater purification that is based on new kind of water technology and treatment of water. The building of a new water treatment plant has also been started. Besides modernising the treatment of water, the expertise accumulated from the testing and learning environments creates new opportunities for Finland in the growing fields of reuse and recycling of water and energy saving. Significant growth could be achieved in the Finnish blue bioeconomy if more productive use could be made of the currently underutilised fish catches and side streams. In Finland the side streams created by the fish processing industry amount to about 20 million kg a year. Relating to this, the European Maritime and Fisheries Fund has granted financial support through the fisheries innovation programmes to raise the value of underutilised fish material. New products have been developed were domestic fish such as Baltic herring and roach fish species are used as raw material, including pulled fish made from minced small fishes.